Tessa McGinn is a singer, songwriter, choir leader & actor with a lifelong passion for harmony & harmonising in all spheres. She has worked with the RSC, BBC TV, Channels 4 & 5, Radio 4, touring theatre, Cambridge University Press and more. Tessa’s newest choir is the Stroud Harmony Singers, a community performance choir who sing contemporary, classic & original songs from sacred & world to pop, jazz & folk. Tessa’s passion for harmony, balance, ecology, beauty & the discovery of all that is sacred in life also led her to the study & practise of Feng Shui: the ancient art of placement. 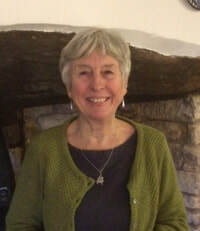 Whether visioning & organising events with the Stroud Sacred Music Festival, teaching voice, singing with a band, leading a choir or visiting a site for a Feng Shui consultation, Tessa seeks to combine each individual's natural talent & passion with practical, achievable steps that will take them forward to a joyous & harmonious outcome. Katie is a Self-Employed Trainer and Community Drum Circle Facilitator, passionate about bringing people together through rhythm, music and other expressive arts. Katie has worked using the arts in diverse community settings for 14 years and through this experience has witnessed the power of music and the arts to build community, create connections and promote peace. ​This strongly held belief in the importance of the arts to promote inclusivity has inspired her to join the Sacred Music Festival team and to weave in her musical and facilitation skills to the mix. In the autumn of 2014, Revd. 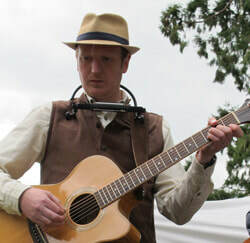 Simon Howell of Holy Trinity Church, Stroud asked if I would work with him to create a Sacred Music Festival. He did not need to say any more as I instantly new that we were on the same wavelength. In February 2015 we invited a few friends to meet and began working to form the first Stroud Sacred Music Festival (SSMF) based in St Laurence Church. The success of this event during the first weekend of July 2015 went beyond our expectations and we have not looked back since. I have a very varied taste in music and I am part of The Raga Babas that are a multi faith world fusion devotional dance band of 13 members, based in Stroud. I consider most heartfelt music as ‘sacred’ and love the growing community around this. I believe that one of the most effective ways to create harmony and peace in the world, is to unite in celebrating the diversity that exists all around us, with Sacred Music and dance. In this way we can meet with open hearts and leave behind any separation created by opinion orientated dialogue. Born in Kenya, East Africa in 1957, I moved to West Midlands, U.K. in 1965. Having studied at Wulfrun College F.E., Wolverhampton, I attained a Diploma In Engineering. I am also a undergraduate of Electronics Engineering from University College, Cardiff. I lived on North Wales of some 12 years devoting all my time to serving a community to promote peace and harmony. I moved from North Wales to Stroud in 1993 and live here, happily with my wife, Daxa, and daughter, Ananda. My interest and involvement in SSMF has been from its onset. I coordinated and provided catering to the fund 2016 and 2017 Festival Event. I am also a member of the Raga Babas band. I am pleased to be part of the SSMF Directors Committee and serve in my role is as the Secretary to the Directors. 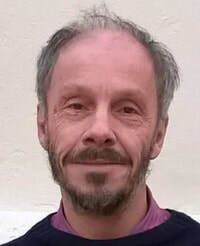 I have lived in Stroud since 1970 and am involved in Rodborough Tabernacle URC and also am secretary of Amnesty International mid-Glos group. I am married to South African born Brian Oosthuysen who is a Labour County Councillor. He has been in the UK since 1961 having been active in the anti -apartheid movement. He came to the UK primarily to study theology. We are both retired secondary school teachers, my subjects being French and Spanish with some music up to year 9. ​I was born in north Wales and was brought up bilingually. Our family moved to Shropshire when I was eight years old. I have retained my affinity with Wales and all things Welsh including music! Brian and I have four children and nine grandchildren and celebrated our Golden Wedding in 2017. We love living in Stroud as it is such an eclectic and welcoming community. I was working at Ragged Moon Music Studios, and we were approached by Girish Patel for sponsorship for the Sacred Music Festival. We loved the idea so much we jumped at the opportunity and I haven't looked back. I am passionate about celebrating difference and diversity. I have a deeply held belief that at the heart of all spiritual movements, organised religions and Human Beings there is a common truth and the Stroud Sacred Music Festival is a perfect way to experience the unity that music and the arts can access. I have worked in the music industry for a short while on the business management side, and so have offered help with booking artists, contracts and planning in the past. I have also thoroughly enjoyed supporting Rev. Simon in compering the event for the last two years, and look forward to doing this again at this years event. I believe the SSMF has a unique approach to facilitating communication between individuals of different faith and non- faith groups,and it can succeed in bringing unity where dialogue fails. Music is the language of the heart, and communication in this way is not threatening as dialogue sometimes can be. I would love to see the model spread around the country so that rather than having huge gatherings there could be lots of smaller festivals that allow many individuals to become involved in a community that is about much more than simply putting on a festival. What would you like to say to anyone who is interested in being involved? Jump right on in. It is a lovely community and so rewarding. The key is to offer what help you can open heartedly give, and you will get so much more out of it. Now in a post-employment phase (though not necessarily retired) I spend my time digging the allotment, working at Chalford Community Shop, trying to sort out the house (we plan to downsize when our daughter goes to uni in September), and studying part-time with Loughborough University (MSc in renewable energy systems). I discovered World Music on my first gap year in South Asia, and have been a devotee ever since. I don't have a faith but I love lots of types of sacred music. I remember the fantastic Durga Puja festival in Calcutta - Hindu sacred music blaring out from speakers all over town. I met two young Indians coming out of a temple and, stopping for a chat, I noticed one of them was wearing a small crucifix. "Oh, I see you're wearing a crucifix", I said. "Yes", he said, "I follow Jesus". "But you've just been worshiping the Hindu goddess, Durga", I said stupidly. "Yes, I'm a Hindu", he replied patiently. "And this is my friend Mohammed, by the way" he said, indicating the other man from the temple. I love that this spirit prevails at the Stroud Sacred Music Festival. Wonderful music from all religions performed in a beautiful church. Having been part of various stroud based musical groups including Enchanting the Void and the Raga Babas, becoming part of the events team for the festival was a natural step. Over the past few years I have introduced musicians and workshops to the festival as well as performing and facilitating. I have a deep interest in the way sacred music and art resonates beauty, wisdom, soulful healing and compassion. I am also an artist and am compelled by the way art and music can act can bring communities together and transition boundaries. This year I am involved with the programming which will include several extra events and festivals throughout the year. ​Through teaching yoga and my practice I have learnt the importance of community and connecting through beautiful practices whether that be music, art, yoga and sport and that belief has lead to me working with SSMF as I believe this is a really special event that brings people together and I wanted to support the start of the 'youth stage' for 2018's festival as it gives young people in the area a chance to shine, building confidence and support which I think is a very important part of development. I hope to also be teaching a glow in the dark yoga class with music before the music and performances start on the Friday night of the festival.